At the Dutch museum, The Rijksmuseum’s website you can explore a huge part of their collection in detail. The art is there for you to zoom around on and to save on your computer – in a rather large resolution. I find my self on there way more than I should be. 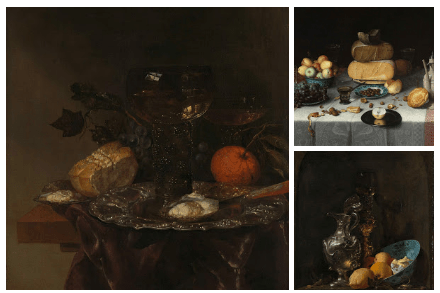 I have created a little board of paintings that shows food from the period I am interested in (late medieval to early modern). The collection is searchable and every single painting has all it’s infomation there. The photo quality is really good and you can zoom in quite far. I find that is a great resource to see the what food looked like – both the produce and the finished product.